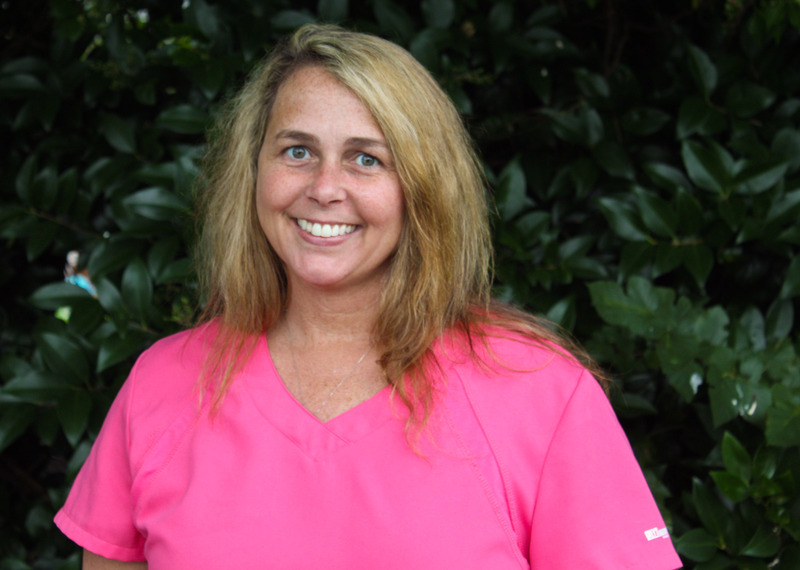 Hi, my name is Tracy, and I’ve been a Hygienist for the past 9 years after going to school at GTCC. 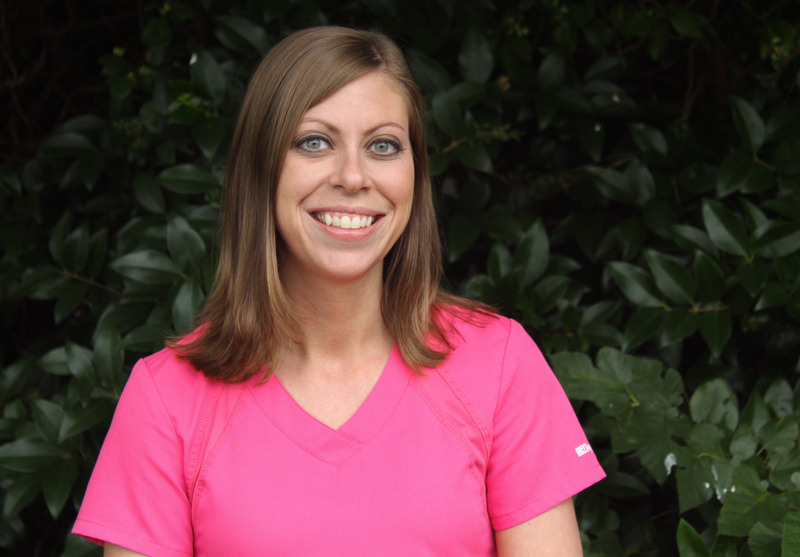 My favorite thing about being a hygienist is helping people build their self-confidence through their smile. I grew up in Brown Summit, and currently live up the road in Reidsville with my husband, Will, and my 1-year old daughter Josey. I also have 5 dogs at home; 2 English Bulldogs, 2 German Shorthaired Pointers, and 1 Boykin Spaniel. In my free time, I enjoy photography, camping and hiking. Hello! 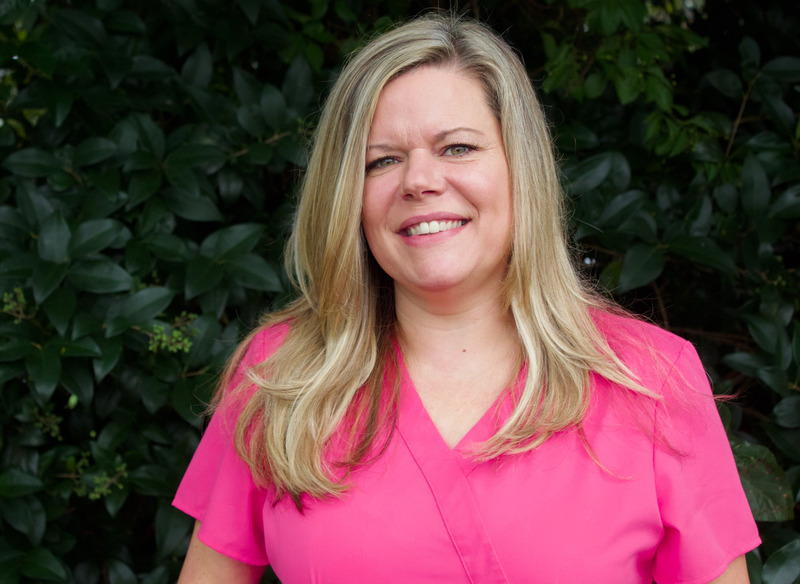 My name is Carrie and I’m a Dental Hygienist at Castor Family Dentistry. I have been a Hygienist for 9 years since graduating in 2009 from GTCC. My favorite thing about my job is educating patients on how to best care for their teeth in a way that fits their lifestyle and my goal is patient comfort. I grew up in Maryland but moved to Greensboro as a teenager so I guess you could say I did quite a bit of growing up here too! I met my husband in high school and we’ve been married for 18 years. We have two beautiful daughters that are 11 years apart and our only son is our boxer named Dexter. In my free time I enjoy spending time with family and friends, and I also help run my husband’s plumbing business. 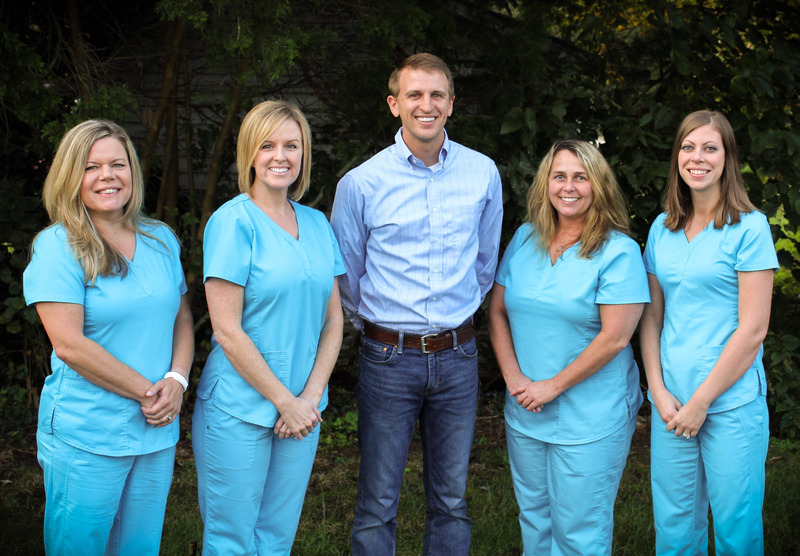 I look forward to meeting you and making your dental visits a positive experience! Hi, I’m Sharon and work at the front desk at Castor Family Dentistry. I’m the one you’ll most likely talk with to schedule your appointments and discuss your insurance benefits if you have them. I have worked in the dental field for over 20 years and really enjoy interacting with patients and helping them get a smile that they can be proud of. I grew up in Greensboro and currently live in Gibsonville with my boyfriend Chris and our three dogs; Tia, Taco and Abby. In my free time, I love outdoor activities like hunting, fishing, 4-wheelers, going to the beach and being at the pool. Hi, my name is Amanda, and I’m a Dental Assistant with Dr. Castor. I’ve spent the past 19years working as an assistant and each day I try to make each patient’s visit as pleasant as possible. I grew up in Greensboro, went to school at GTCC, and still live here, but I still have to use my GPS to get around town. I have a 21 year old son, and a boxer named Sawyer. I like spending free time making jewelry and any other DIY crafts.